Julia Soaemias Bassiana was a Syrian noblewoman and the mother of Roman emperor Elagabalus. In 217, her cousin the Roman emperor Caracalla was killed and Macrinus ascended to the imperial throne. Together with her mother, Julia plotted to replace Macrinus with her second son, Bassianus. To legitimise this plot, they spread the rumour that the thirteen-year-old boy was Caracalla's illegitimate son. In 218 Macrinus was killed and Bassianus became emperor with the name of Elagabalus. 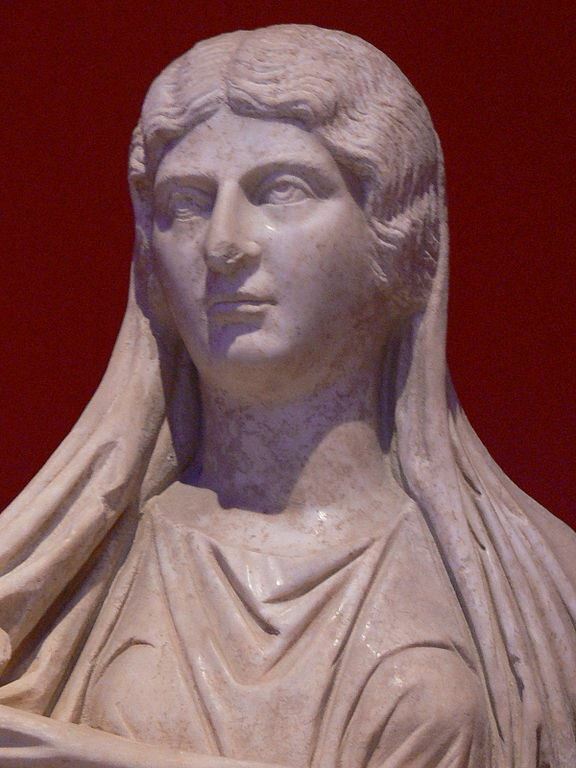 Julia became the de facto ruler of Rome, since the teenaged emperor was concerned mainly with religious matters. Their rule was not popular, and soon discontent arose, mainly because of the strange sexual behaviour and the Eastern religious practices of Elagabalus. Julia and Elagabalus were killed by the Praetorian Guard in 222.